Have you been bitten by the KonMari bug? I assume you know what the KonMari method is because Marie Kondo took the world by storm AGAIN when her TV show on Netflix, based on her best selling book The Life-Changing Magic of Tidying Up, launched this winter. If you’ve been living under a rock and/or unfamiliar with the tidying guru, the first place you start your untidying journey is in the closet! According to the chief design officer for California Closets, the average person wears only 20% of their clothing 80% of the time. The idea is that we whittle it down to just the 20% we love and wear ALL the time. As you go through your closet, you’re probably left with a lot of items that don’t spark joy and you’re not sure what to do with them. I’ve rounded up a list of places for you to donate and recycle your old clothes. You might want to box them up and drop them off at your nearest thrift store, but I’d really urge you not to. This is a great blog post by my friend Leah from Style Wise. She’s the manager at a thrift store and talks a bit about the complexities of dropping off all of your clothes. Not everything we drop off at thrift stores is going to be sold, recycled, or even put on store shelves. There’s not enough space, depends on styles, depends on quality, and whether or not the thrift store has partnered with a textile recycling facility. What’s most important is to make sure we’re donating items is in GOOD CONDITION. If you have clothes in good condition, maybe call up some of your friends and host a clothing swap. If you’re looking for tips on hosting your own clothing swap, check out this post where I chatted with Martha Stewart. If you have clothes in good condition and in current styles, you might want to consider selling some of your clothes. You can do it on apps and websites like Poshmark, eBay or check out Bunz an app for sharing, swapping, and trading in your local area. RELATED: Learn more about the Bunz App and the Sharing Economy! If you want to take a more hands off approach, you could also bring your clothes to a local consignment shop. You can take a look at some of my favorite consignment shops in my Going Zero Waste Guide to the Bay Area. When it comes to donating, try to find specific charities for specific items. 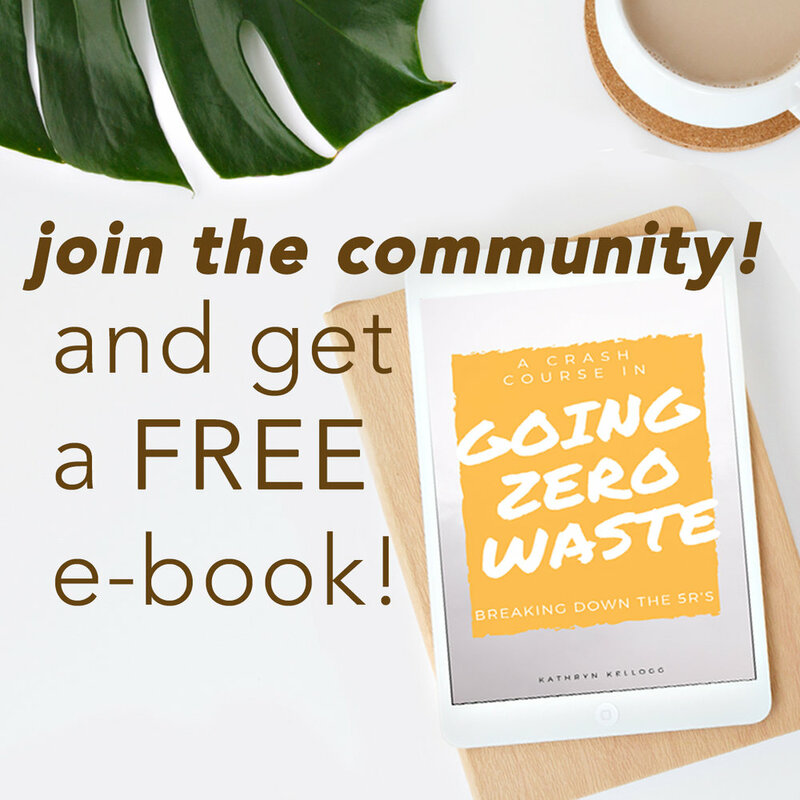 I talk about this at length in my book 101 Ways to Go Zero Waste. Have work attire? Check out Dress for Success. If you have a bra that’s a bit too tight or a bit too big, check out I Support the Girls. It’s also a great organization to donate your leftover pads and tampons, if you still have a stock pile from when you switched over to zero waste period products. “I Support the Girls collects and distributes donations of new and gently used bras, and individually sealed tampons and maxi pads to women and girls nationally and internationally. Looking to donate men’s suits? Check out Career Gear. Are you looking to donate your wedding dress? Can I recommend Brides Across America? From their website, “Brides Across America (BAA) is a non-profit committed to loving one another by gifting weddings and wedding gowns to our military & first responders. Whether it's for love of country or love at the altar, our military and first repsonders deserve our very best. Since 2008, Brides Across America has played a role in making their dreams come true by giving a military or first responder bride a free wedding gown during an “Operation Wedding Gown Event”. Do you have some formal gowns, clutches, or sparkly earrings collecting dust in the back of your closet? Check out W Girls, Project G.L.A.M. From their website, “WGIRLS Inc. created Project Granting Lasting Amazing Memories (G.L.A.M.) to provide economically disadvantaged young women with prom dresses and accompanying accessories so they are able to enjoy the rite of passage of high school prom. To date, WGIRLS Inc. has outfitted over 14,000 young women in need for prom." Have a few extra coats? Maybe one or two your kids have outgrown? Check out One Warm Coat. From their website, “One Warm Coat is a national non-profit organization that works to provide a free, warm coat to any person in need. “One Warm Coat supports individuals, groups, companies and organizations across the country by providing the tools and resources needed to hold a successful coat drive. Coats are distributed in the communities where they were collected, to children and adults in need, without charge, discrimination or obligation. I feel like kids are best known for one thing - growing quickly. There are numerous charities and organizations that accept gently used kids clothing and toys. If you’re in Los Angeles, try Baby2Baby. If you’re in NYC or Boston, check out Room to Grow. If you’re in Washington, check out Clothes for Kids. For something a little less location specific, try your Ronald McDonald House chapter or your local Women’s and Children center. Have some shoes in good condition? Check out From the Sole. Now, what do you do when you have a bunch of clothing that isn’t fit for swapping, selling, or donation? Then it comes down to textile recycling. Now, with all recycling, I’m a little wary. Recycling is not a charity, it’s a business and it relies on having a market to sell the products. So, just because we can recycle it doesn’t mean it will be recycled. This is why it’s better to reduce, reuse and THEN recycle. Cotton t-shirts make great rags. Think about cutting your tees into a squares of fabric for cleaning, napkins, hankies, etc. If your clothing is made from natural fibers like cotton, wool, silk, etc. you can compost it. However, the threads used to stitch it will 99% of the time be synthetic. If you’re in San Francisco, there’s a textile recycling program run through the SF Department of the Environment. I:CO is working towards closing the loop in the clothing industry and recycle textiles into yarn, shoe soles, etc. Blue Jeans Go Green is dedicated towards recycling denim and turning it into insulation in homes. Madewell, Jcrew, Rag and Bone, they pop up in stores all across the US. Regrind your shoes with Nike regrind and turn them into basketball courts or tracks. Check out your local reuse center like the East Bay Depot for Creative Reuse a lot of towns have these, so maybe check around to donate scrap fabric. Terracycle has a zero waste box specifically for textiles but it is spendy! While donating and recycling is great, I can’t leave this blog post without mentioning that we should change our consumer habits. It’s important to reduce the amount we buy, hone in on our personal styles, shop only with lists, implement a buy ban like waiting thirty days, and stop shopping as a hobby. I hope you’ve found this blog post helpful and will use it as a reference the next time you clean out your closet! How to Recycle E-Waste the Right Way! How to Recycle Paper the Right Way! How to Recycle Metals the Right Way! I know a lot of people say, “Pizza is LIFE.” But, like…. pizza is life. Growing up allergic to dairy, I never got to indulge in that pizza party life. Sure, we’d make our own cheeseless pizzas at home… but then one day… everything changed. I was a senior in high school and a friend had a pizza party for her birthday. We all went over to her house (we had off campus lunches) and she had ordered me a CHEESELESS PIZZA. I had no idea you could order a pizza without the cheese. I had never even thought to ask. Now, I have to make up for all of those lost pizza years. And, they had DAIRY-FREE CHEESE options FOR THE PIZZA!! See, non-dairy alternatives are commonplace now, but back then it was a rarity. This was the first pizza I had ever had with “cheese” on it, and I was hooked. Mellow Mushroom is still my favorite pizza of all. Since, moving to California and the growing acceptance of food allergies and dietary restrictions almost every pizza place in the area has a non-dairy cheese and gluten-free crust options. My, how things have changed. We often go out for pizza, but we also stay in super snuggly in our favorite tentree duds. Yes, I get my pizza delivered - yes, in a cardboard box. Yes, it’s disposable and I freely admit my weakness! Thing is pizza boxes are compostable! But, are they recyclable? I cover it all in the video down below. For more tips on how to recycle the right way, check out my series below! E-waste is the fastest growing solid waste stream. Each year more and more electronics are bought, used, and discarded. Also, if you want to knock on wood for me… I’d appreciate that. I love my laptop and would be perfectly content for it to stick with me for many more years to come. This post was sponsored by SellCell. All thoughts and opinions are my own for more information please see my disclosure policy. The problem is, eventually, software won’t work on my laptop. I won’t be able to update my browser or maybe the Adobe Suite, which I depend on for my business, won’t be compatible. Many manufacturers continue to create new and “better” devices year after year. They want us to keep reaching for just a little bit better technology. Old models are phased out by making them difficult to repair or not offering updates. It’s a way to keep us spending money. After all, how can they churn a profit if all of us hold onto our devices for decades? A lot of this also harkens to planned obsolescence. Not sure what that is? 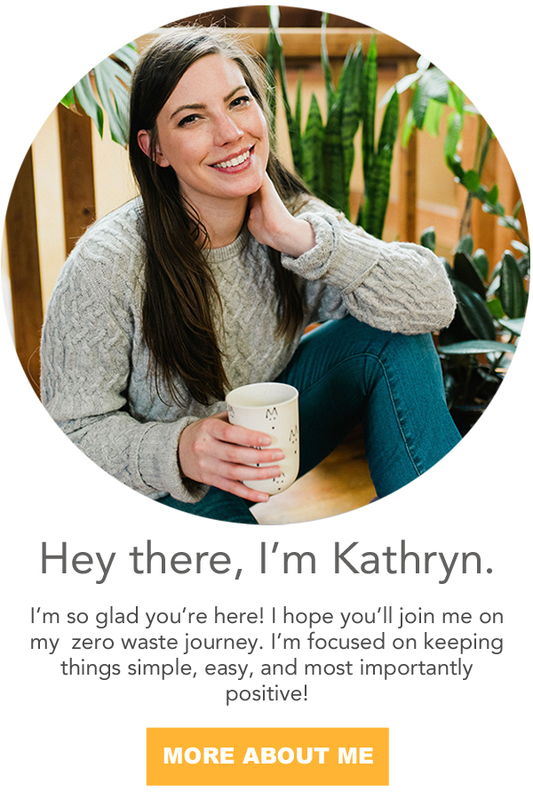 Check out my blog post What is Zero Waste? What is the Circular Economy? One of the best things you can do is hold onto your electronic devices for as long as possible before recycling. If you need to upgrade, think of trading your old devices in to have them refurbished instead of just sending them off to be recycled. Companies like SellCell help users trade-in hundreds of thousands of phones and tablets per year, significantly reducing e-waste. They ensure recycling codes of conduct are enforced for the safe and non-hazardous disposal of goods. Since 2008, SellCell has helped 2 million plus users trade in their electronics! When you have your old electronics refurbished, they can stay in the waste stream for as long as possible. On the flip side, when it’s time for you to buy a new device, make sure that you check the secondhand market! Between my husband and I, our last two electronic purchases, laptop and cell phone, were both bought refurbished! First we did How to Recycle Metals - the Right Way! Then we had How to Recycle Paper -The Right Way! Now, we’re talking ALL about E-Waste. If e-waste is the fastest growing waste stream, then we’ve got to make sure that we’re disposing our electronics - the right way! The term e-waste is loosely applied to electronic equipment when it’s reached the end of its useful life, but there is no clear definition of what e-waste is. While we most commonly associate computers, fax machines, cell phones, and charging cables with e-waste, it could also apply to appliances. However, there’s no definition for e-waste so whether or not appliances are technically e-waste is yet to be determined. I’m very interested to see how the definition of e-waste develops as we advance with technology or IoT (Internet of things). are you sure it’s e-waste? Raise your hand if you have a stash of old cellphones sitting in a drawer? I’m embarrassed to say I actually have every phone I’ve ever owned…. razor, sidekick, iPhone 4, iPhone5c. All of them are sitting in a drawer together - chillin. Even if you think your old devices are broken or suffering from water damage, they still have value and can probably be repaired. You can trade in your old devices with SellCell. In fact, they are so confident that the user will get the best price for their old devices that they offer a Best Price Guarantee. So, one of the easiest ways to part with your electronics (and avoid e-waste!) is getting a little bit of money in your pocket. Before you even get to recycling, double check to see if you can sell your device back first. If your devices weren’t good enough to sell, remember: e-waste should NEVER be put in the landfill. E-waste contains toxic and hazardous materials like mercury, lead, cadmium, beryllium, chromium and chemical flame retardants which are particularly dangerous when leached into our soil and water. E-waste also contains valuable precious metals like gold, copper, and silver and rare earth minerals. We're depleting the earth very quickly of non-renewable rare-earth minerals used to make electronics. So it’s important for the future of the industry to figure out how we can recycle and reuse what we have. One of my favorite e-waste recycling initiatives is this jewelry line. Dell has partnered with Bayou with Love to make upcycled jewelry with the metals from e-waste. Which I think is pretty awesome. I have an opal ring (my birthstone!) from the collection. According to the UN up to 90% of e-waste is dumped illegally which is a huge environmental hazard. “Globally, e-waste is the most traded hazardous waste on the planet,” Jim Puckett, the executive director of the Basel Action Network (BAN) said. The Basel Action Network is a non-profit working to regulate e-waste exports from industrialized societies to developing countries. Some “recyclers” will drop e-waste off in developing parts of Africa and Asia where they don't have proper recycling processes. Workers are forced to smash and strip the electronics for their precious metals in some places gold is recovered by bathing circuit boards in nitric and hydrochloric acid. With little to no environmental regulations, these hazardous materials are left lying around which leave workers, the water, the soil, and the surrounding community at risk. The best way to recycle e-waste is to find an E-Steward Certified e-waste recycler. You can use that link to find a certified e-waste recycler near you. E-Stewards is a global team that makes sure organizations, businesses, and waste management companies are disposing of e-waste responsibly, and they’re working to stop the illegal trade of e-waste! Looking for the E-Steward certification is one of the easiest ways to recycle your electronics. Then you know that they’re going to be recycled, and you don’t have to worry about illegal trade, social, and environmental hazards. But, to reiterate what I said before we got into the recycling portion, try to reduce the amount of e-waste you have in the first place! One of the best places to start is by repairing what you own. If you think it’s becoming more and more difficult to get your belongings repaired, check out repair.org! They’re focused on creating legislation to make sure that we have the right to repair our belongings. Focus on reducing how many electronics you buy. When you do shop, try to buy secondhand. Hold onto what you have as long as possible and opt for repairs.